Put the gelatin into a bowl, pour over with water and put aside for 2 minutes. Afterwards pour over also the boiling water. 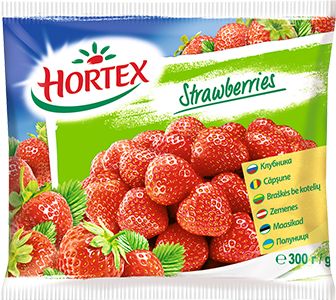 Defrosted strawberries mix with orange juice and honey. In the end add gelatin and stir everything carefully. Pour the liquid into small bowls and put aside to chill so that the foam acquire a proper consistency. Grate the yolks with sugar to receive a fluffy mass, add mascarpone cheese and stir. 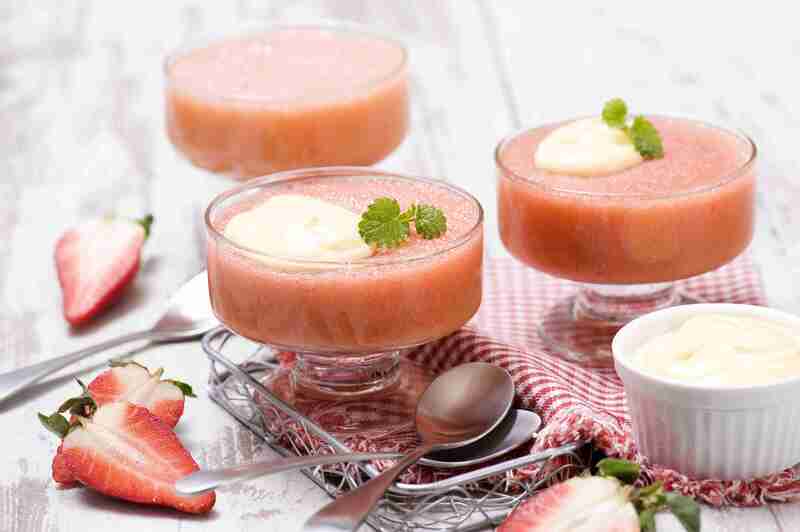 Serve the strawberry mousse with mascarpone cream.